The Lions are coming to Australia with one goal in mid – to roar loudly and look to continue their climb of recent years to take the Division 1 title. Finishing fourth at the IC14 event was something to be proud of, but not enough. This time they have an even bigger fish to fry. 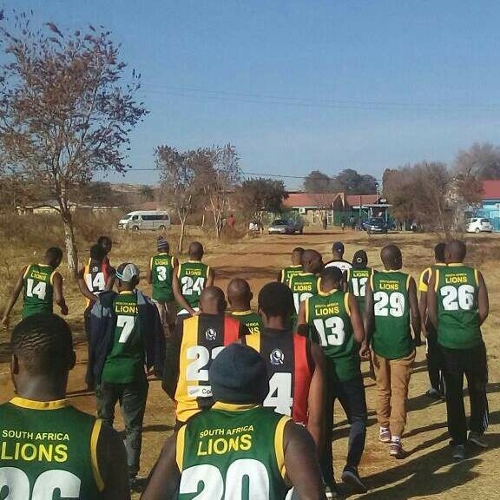 The same can be said again this time around in many ways, but the big difference since IC14 is the establishment of the Footywild Premier League in South Africa which has seen eight clubs formed in a national competition. The regularity of a permanent competition as well as the benefits from sustained matches provides a useful platform for growth of players. 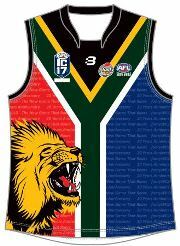 As stated by AFL South Africa in the lead up to the IC17 tournament, “in terms of our squad going to the IC17, our strongest points are our speed and agility.” Once again the modus operandi of the Lions will be the all-out attack approach – run hard and keep the ball away from opponents to set up scoring options. Whilst it is always a high risk approach, it has served them well in past International Cups and is likely to cause more headaches for opposition defences in 2017. 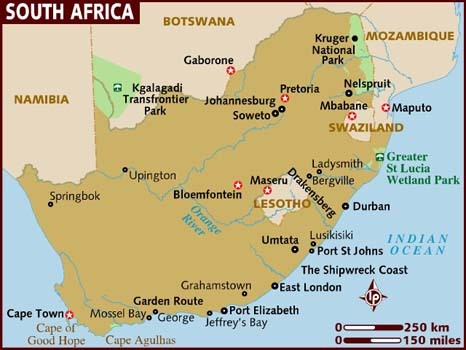 The Republic of South Africa is known as the Rainbow Nation as it integrates so much of the cultural spectrum. Estimates vary, but the population is around 51 million and it is steadily, though too slowly for some, building up the standard of living after years of repression. Australian football got its start in South Africa in the 1990s, but then did it tough for some time. But building up to IC08 it became the number one focus for international development, with its relatively cheap costs, abundant population without access to organised sport, and various synergies with business investment. With extra AFL support and a genuine grassroots movement the sport began to flourish. The game has been branded FootyWILD and grew rapidly in numbers, but over the last few years there has been an effort to consolidate and growth has slowed. But 2011 saw a drop of two spots in their International Cup finishing position and it's also been unclear whether AFL support has been steady or declined. 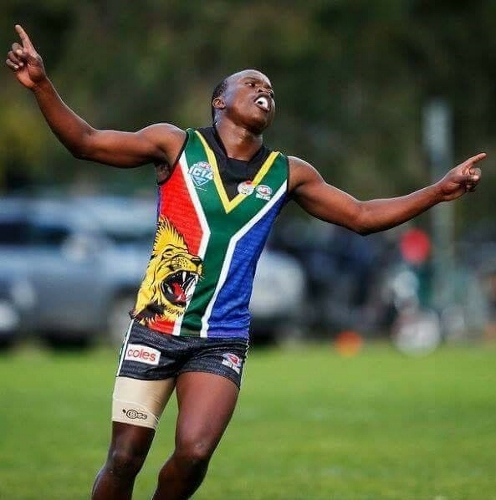 With the rise of international rookies from South Pacific nations and none currently from South Africa one can imagine that there's pressure building to produce some potential AFL talent soon. A focus has been talent identification and this year's team has been selected from a group that have had dedicated training as an elite squad as well as the regular competition in the footyWILD Premier League as mentioned earlier. The team’s Head Coach will be Benjamin Motuba. Tshoboko Boagi from the Warriors Football Club will be captain and Aubrey Velele from the Blue Birds Football Club will be vice-captain. The South African Lions are a genuine mixture of youth and experience. Older heads who have been to previous International Cups will certainly mentor the new comers, whilst the youth can offset any lost pace from previous campaigners. In a relatively low-key outfit, one player who will have people watching is Godfrey Molohlanyi who returns to the national team after a nine-year absence – having last played for South Africa at an International Cup back in 2008. With youth and regeneration of the list a selection consideration it will be interesting to see what has caught the selector’s eyes after such a lengthy time away from this level. The South African team has a tough draw at this year’s International Cup. Matches against reigning champions, Papua New Guinea, and honest toilers over past cups – the USA, Great Britain and Fiji – present a tough challenge. But the national team has been a consistently well performed team at past International Cups, finishing 4th at the last event in 2014, 5th in 2011 and an all-time best performance of 3rd back in 2008. This new squad will be going all out to better those results and set a new benchmark for South African footy.